Founded in Paris in 1827 by Jean-Pierre Duvelleroy, the House of Duvelleroy was born out of a man’s ultimate dream: to bring fans back into women’s hands. 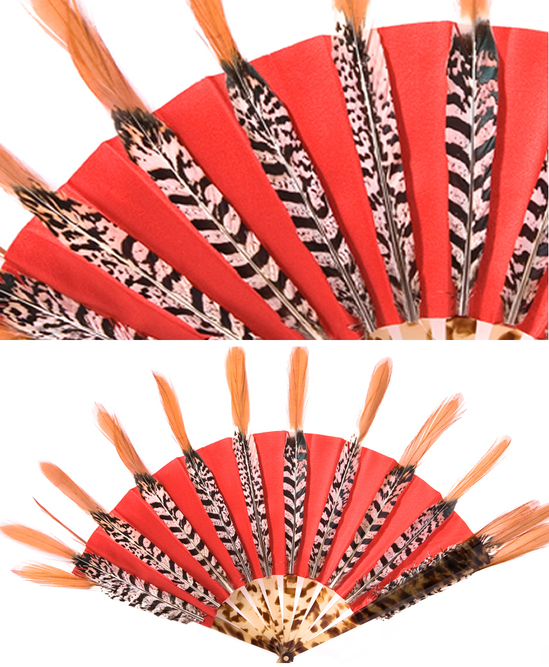 Official supplier to the Queens, starting with Queen Victoria, Duvelleroy created the fans given to the wives of statesmen on their official visits to France. Duvelleroy Couture is the more elaborate line: realized in the French tradition, each model is put together by a fan master, after various artists (sculptors, engravers, embroiderers, tuckers – depending on the fan type) have elaborated each individual part. 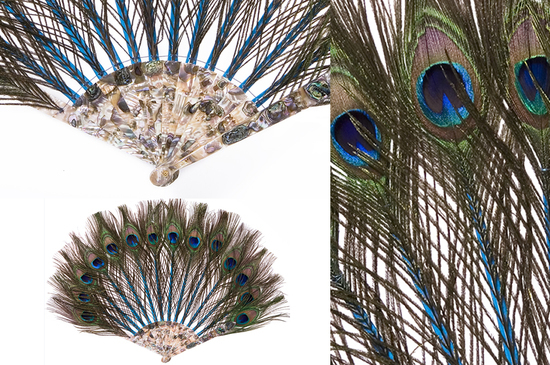 Having seen the revival of the House of Duvelleroy in 2010, a wide range of fans have be reintroduced in today’s times – The Peacock fan, priced at €2765 ($3,400), in which each peacock feather is reconstituted one by one on the sticks covered in silk and the leaf is made of 14 peacock feathers. 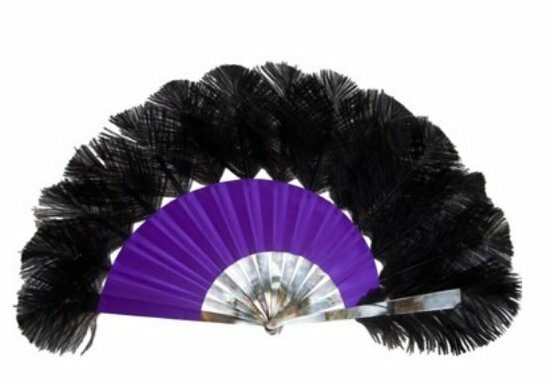 There is also the Moulin Rouge fan tagged at €1515 ($1,800) that is shaped like a half-moon. 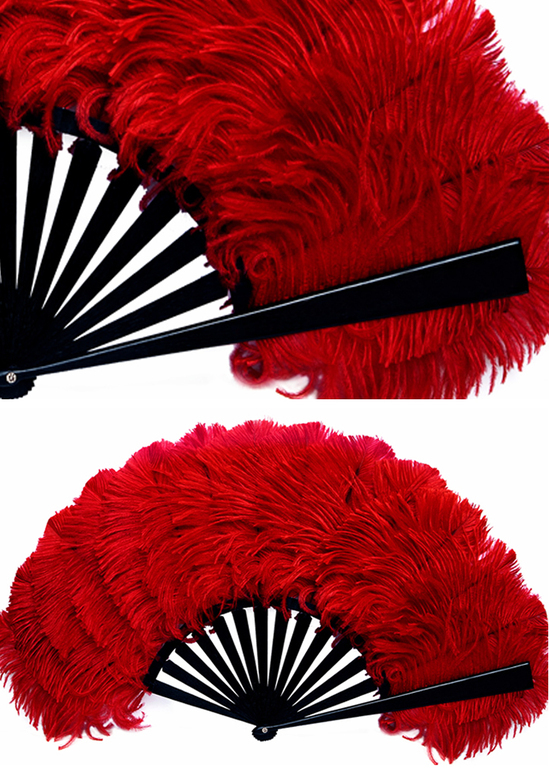 The leaf is made of Ostrich feathers from the Moulin Rouge’s workshop.